CutoGuard®; Long-lasting dermatology bandage. OticArmor®; Manage Otitis Externa by keeping the ear clean. 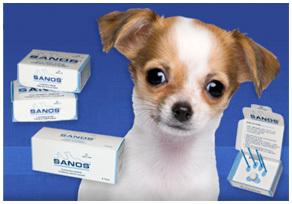 SANOS®; VOHC accepted, veterinary dental preventive to help protect the ‘difficult to reach’ areas. CutoGuard®, dermatology bandage, OticArmor®, otic bandage and SANOS®, VOHC accepted veterinary gingival dental sealant information: Product Detailers, Clinical Studies, and Application Video. Learn about Pet Dental Care and Ear Care, View the SANOS® and OticArmor® Client Brochure, Search for a Veterinarian in your Area and Visit our SANOS® Frequently Asked Questions. Periodontal disease is both painful and preventable. An important goal for dog and cat owners is proper dental care to help their pets retain their teeth. This is important for the quality and longevity of life in the long term. Left unchecked, periodontal disease can ultimately result in the spreading of bacteria throughout the animal’s system, possibly resulting in problems with kidneys, liver and heart. SANOS® is applied after every professional dental cleaning to protect under the gumline and the ‘difficult to reach’ areas under the gums of the caudal teeth. 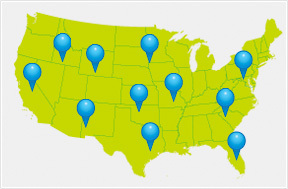 The Veterinary Oral Health Council (VOHC) has awarded its Seal of Acceptance to SANOS®. Otitis externa, an inflammation of the external ear canal is one of the most common ear diseases seen in dogs. Primary causes of otitis externa include atopic dermatitis, food allergy, and ear mites. 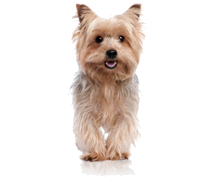 Many dogs with otitis externa require lifelong management of their disease. The best way to prevent otitis is by keeping the dog’s ear clean. Veterinarians can help pets avoid ear infections by practicing prevention. This is where OticArmor® can help. Applied by the veterinarian OticArmor is designed to keep inflammation low by keeping the ear canal clean. Importantly, no daily home-care ear cleaning is required by the client and one application lasts up to 3 months. Pyoderma is a bacterial infection of the skin. Most skin infections are secondary to a variety of other conditions; allergies, endocrine disease, seborrheic conditions and parasitic diseases are the most common. Bacterial skin infection occurs when the epidermal barrier is defective or the immune system has been suppressed. The goal of topical care is to keep the area clean and hydrated for faster resolution. 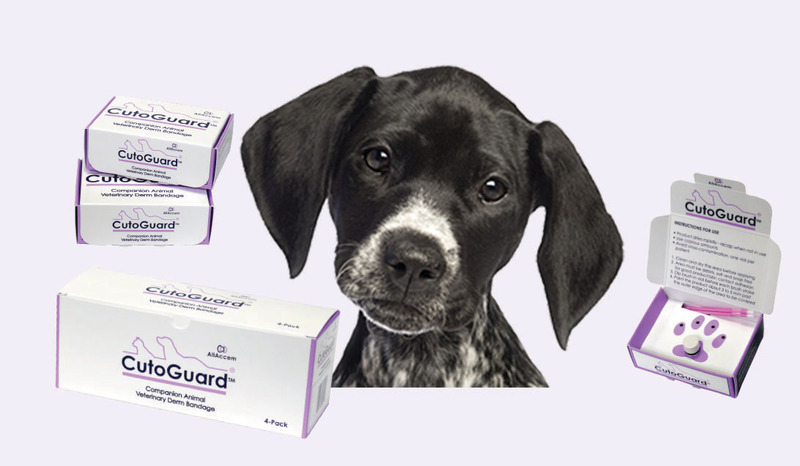 Veterinarians can provide a convenient solution by applying CutoGuard®, a long-lasting liquid bandage that was specifically developed to keep the affected area clean and free of contamination. Upon application, the liquid bandage dries rapidly and forms a protective cover that is flexible and durable. CutoGuard® is convenient, effective and naturally wears off as the skin heals. © 2011 AllAccem. All Right Reserved.